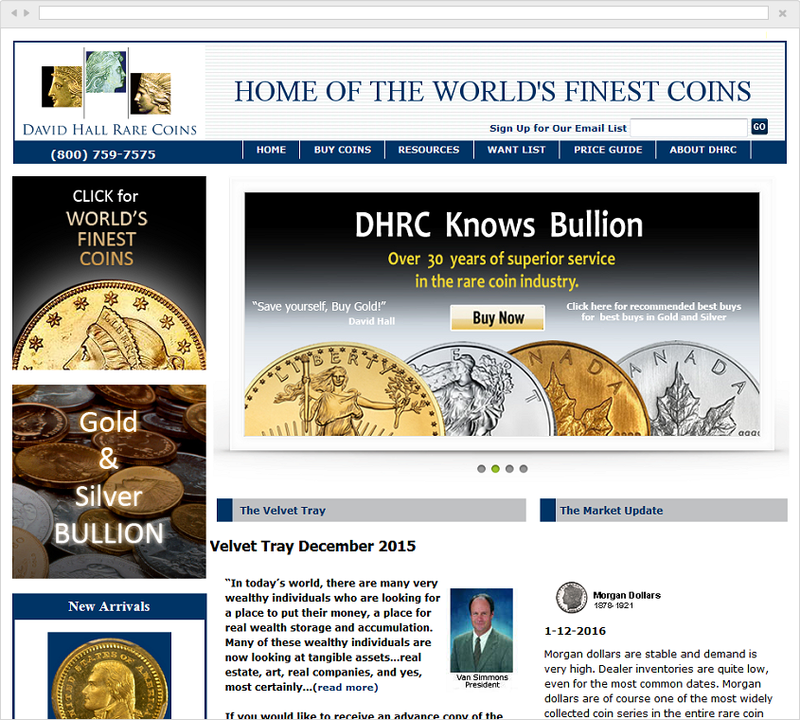 Since its founding in 1977, David Hall Rare Coins (DHRC) has specialized exclusively in gem quality rare coins and has consistently led the worldwide market in the sale of these treasures. Virtually all the major market developments during the past 20 years have originated with David Hall Rare Coins, including grading guarantees, daily cash buy/sell markets and third-party certified grading. 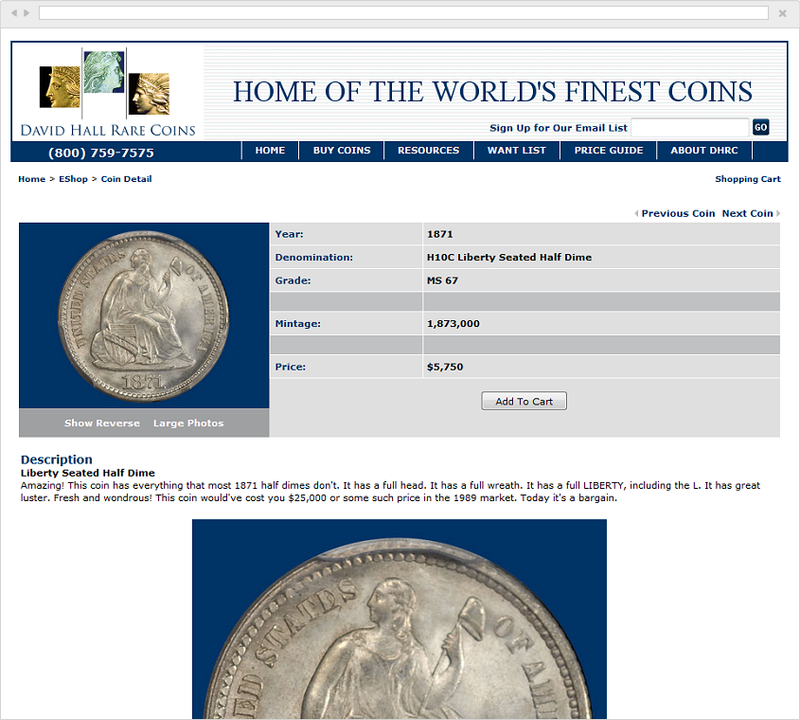 These advances have profoundly changed the structure of the rare coin industry, and have made it the most orderly and liquid collectibles market in the world. Vega Development worked with David Hall to design a new web presence and bring their inventory online to the delight of collectors around the world. 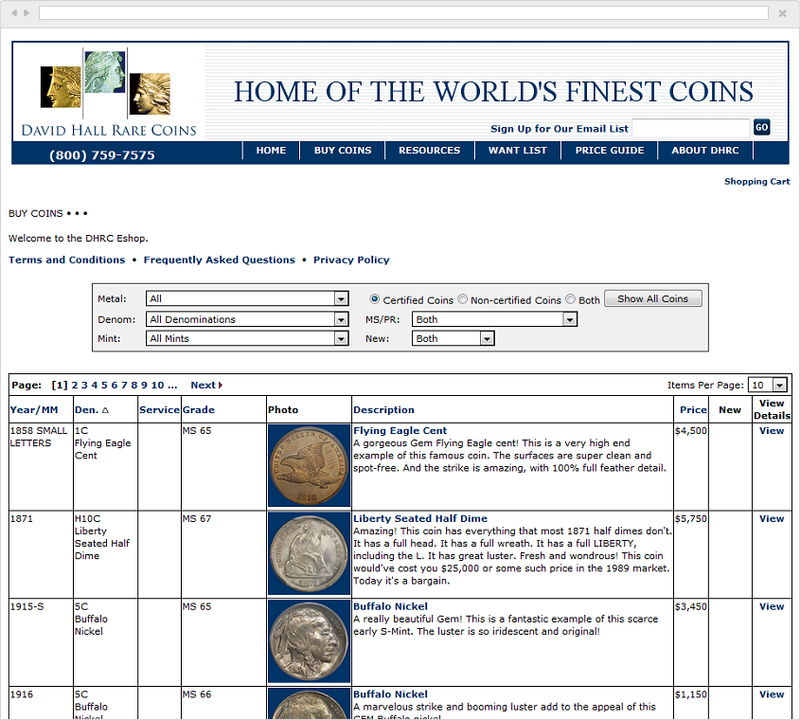 The web site uses the MUSIC™ Coin Database system for coin classification. This results in faster and more accurate search results. The MUSIC™ Coin Database was developed by Vega for Coin Nexus.